JayStar Group works with labor organizations of all sizes across the United States and Canada. Its core business is to provide unions with a comprehensive suite of practical, proven solutions to meet the day to day challenges of their “back office” needs. Are You Up-To-Date On The Recent LM-2 Changes? 200+ labor organizations and their CPA’s rely on the JayStar Group methodology to get it right every year. Specifically designed to manage the LM-2 preparation process. JayStar has assisted over 200 unions and their CPA’s with LM-2 filings since the new regulations came into effect in 2005. No matter what accounting system you use, JayStar has the tools to help you automate the LM-2 preparation process! Our partnership with JayStar will be key in managing our union. We selected them so that we can improve the efficiency of our back-office operations and let us spend more time focusing on meeting the needs of our membership. JayStar's invaluable services have consistently enabled the AFL-CIO to meet DOL filing requirements in a timely manner. They have maintained true professionalism, while still providing a unique "personal" attention to our needs. We look forward to working with them for many years to come. JayStar has the best approach to LM-2 preparation that I have seen. 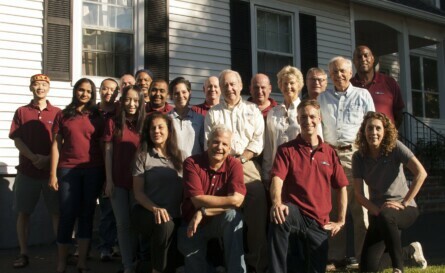 The team has professionals highly trained in technology, accounting and LM-2 regulations. Their system provides you with itemization of every number on the LM-2, allowing for ease of review, and an excellent audit trail. I am happy to recommend JayStar. Our experience with them has been a completely positive one. They re-did our entire dues processing system (we have approx 75,000 dues paying members) and implemented a new web-based application for our locals and off-site offices to log in and check their members' dues histories.